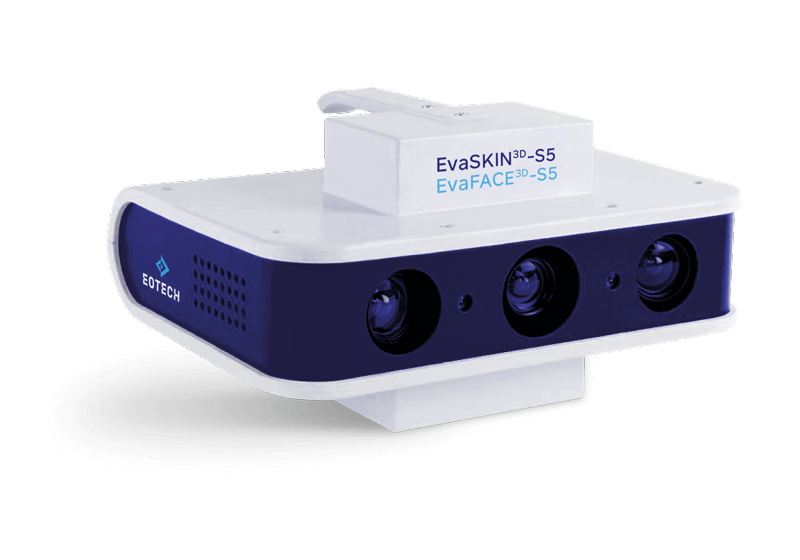 The EvaSKIN-S5 system offers a simple turnkey solution to evaluate the skin topography. It uses a 3D digital technology based on a patented Active Stereometry. It is a compact instrument to use in combination with the VisioTOP-300 bench for the reproducible measurement on panellists. It is equipped with 2 B&W cameras of 5 megapixels for a field of view of 125 mm in diagonal. Le VisioTOP-300 est lui destiné au système DermaTOP-HE, EvaSKIN-S5 et EvaFACE-S5 pour les mesures locales ou globales sur le visage celons le capteur.